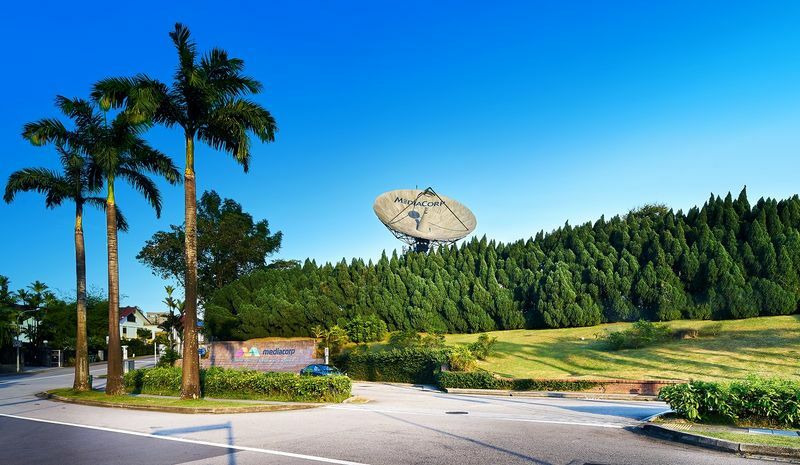 This year, Singapore Heritage Festival (SHF) is excited to offer a rare opportunity to enter Caldecott Broadcast Centre (CBC)*, which will be specially opened to the public. Take the opportunity to explore the space where local productions were conceived and produced, and discover the lesser-known aspects of the fascinating world of broadcast with a host of programmes and activities over two weekends. Come and experience the unique theatre show Studio 6 - a lively and modern re-visiting of iconic stories and characters involving scripts from best-loved comedies, dramas, variety and children shows; unleash your creativity and contribute to our community wall mural; learn about the history of television broadcasting at our TV50 Exhibition; and follow guided tours by industry staff and celebrities to uncover what goes on behind-the-scenes in the various aspects of broadcast production. Join us and be inspired by the immense collective effort which goes into creating productions and the magic of broadcast! Join contemporary theatre company Sweet Tooth by Cake, as they present Studio 6, a performance piece that portrays the dynamism of interactions that occur on set. Three storytellers share two tales of how two Southern islands of Singapore came about. The first is a tale of two sisters determined to stay together, and the second is a story of friendship, trust, respect and common goals between two boys of different races and a turtle. Presented as a live radio play, discover the untold tales of Sisters Islands and Kusu Islands, and find out how sound effects are made live on stage. Want to know where a certain pair of drama lovebirds met? Or hear about a ghostly encounter on the hill? Or explore where the celebrities take a breather? Join Mediacorp artistes and industry staff as they bring you along the sites that form their fondest memories of Caldecott Broadcast Centre. Drop by Aksi Mat Yoyo to The Awakening and back again, a video installation made up of cathode ray TV sets, and catch snatches of scenes from productions of yesteryear. Trace the progress of Singapore’s broadcasting history and culture since the 1960s, from the emergence of television in Singaporean homes, to the diversity of productions unique to Singapore’s cultural and national identity.